According to the letter, the estimated dengue cases so far have crossed 50,000, although the government only accepted a meagre number of 18,000. KOLKATA: Seeking steps from the Centre to combat the "dengue epidemic" in West Bengal, BJP's state President Dilip Ghosh has written to Union Health Minister J.P. Nadda, alleging that test kits were being smuggled out to private health centres due to "corruption of the ruling party". "There is also huge shortage of dengue test kits in government hospitals. The kits are being smuggled out to private nursing homes and hospitals and the poor are advised to get tested in those private health centres at exorbitant costs. 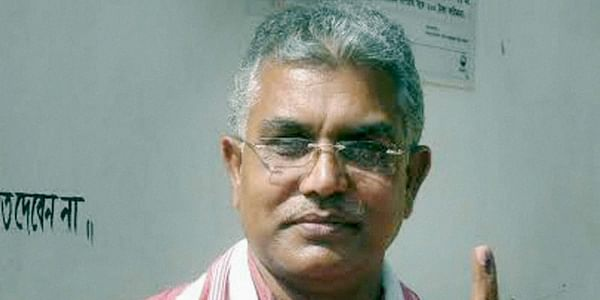 This practice is going on due to corruption of the ruling party," Ghosh said in the letter. According to the letter, the estimated dengue cases so far have "crossed 50,000", although the government only "accepted a meagre number of 18,000 of those diagnosed as dengue virus infected" and declared that 34 persons have died to date, out of which only 18 were confirmed dengue cases. Ghosh also alleged that the state health system had completely "broken down" and was unable to combat this manace and the danger from this epidemic had become more "acute" since the "state government is not ready to accept the enormity of the crisis". Highlighting the "pathetic attitude" of the National Institute of Cholera and Enteric Disease (NICED) in Beliaghata here, he said the institute was not taking any pro-active initiatives, instead it was "taking cue from the state Health Department and acting on their behalf to subvert the ground reality". He also mentioned that the state government had created a huge fear psychosis among the doctors and they are "unwilling to even issue death certificates of dengue deaths".